So I think my quotient on tense movies has been officially met this week. I don’t think I need to go to any others for at least 2 years. Between Gravity and Captain Phillips I can safety say the last 3 days have been my most intense vicarious experiences ever at the movies. You all I know I loved Gravity and while not quite as strong Captain Phillips is a very good film. It’s actually hard to compare the 2 movies because Gravity is a thriller. It is a fast tense where Captain Phillips is a slow, grinding tense. My only critique on the film is that it is perhaps 20 minutes too long. 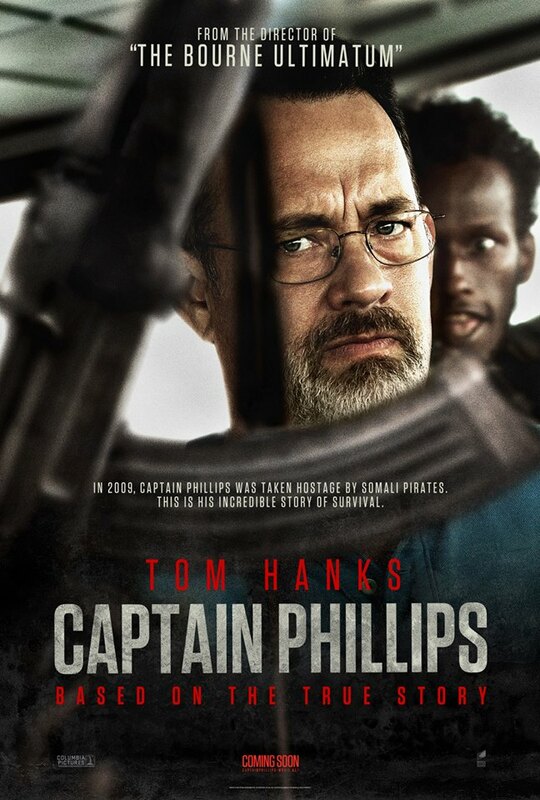 Captain Phillips stars Tom Hanks as Rich Phillips, the captain of a Maersk cargo ship that is taken over by pirates in 2009. The movie is directed by Paul Greengrass who also helmed the last 2 Bourne movies and United 93. He is the king of the shaky cam and he is no stranger to it here. However, I think it worked in this setting. The camera feels like a member of the crew watching what is happening step by step. Hanks is great as the somewhat grisly Captain who is not a born hero. This is no Jack Ryan type. He plays the part so that almost everyone could say ‘I’ve had a boss like that’. He’s tough but not cruel. A businessman at sea free of catch-phrases or inspirational dialogue. The interactions with pirates show that he at least tries to understand what they are doing and why. The pirates are all played by unknown African actors and for the most part they are the searing evil you want in a movie like this. They certainly seem half starved and desperate. All of them, particularly the leader, are the king of the ‘crazy eyes’ where they thrust a gun out and look at Hanks like their eyes are going to pop out of their sockets. It was good that they had them speak pigeon English but mostly use Somali. That added to the realism (such a cliche in movies to just give the villain an accent and that makes them evil). They go into the motives of the pirates a little bit. They talk about how the fishing is gone and so that is all that is left for these starving boys who don’t even get to benefit from their plunder but have it taken by their tribal leaders who abandon them once things get tough. A good half of the movie is spent with Hanks and the 4 pirates in a lifeboat and this could have been sped up a bit but it is very tense. I honestly wasn’t sure how they were going to get him out of there. (Of course, I know that they do because of I remember when the event happened). I also appreciated that there wasn’t any Spielberg-like touches with soaring music and grand speeches. It all felt very real and tense. Spielberg and John Williams- take note! I really liked Captain Phillips and think it is one that is improved by viewing in the theater. Lastly, Tom Hanks should get an Oscar for this performance. He at least should be nominated. It is so much better than the 2 performances he won Oscars for. He commands the screen and is playing a person not a character. You should all see it! As far as content- there is some mild profanity, tense situations and violence but it is certainly appropriate for any mature teen. Long title to this post I know. Here’s the deal- being single is hard. People can pretend like it isn’t and want you to talk about rainbows and butterfly’s but it is hard. Why do you think people cry at weddings? It’s a primal urge to find someone who loves you and can share a life with you. From the beginning of time marriage, love, companionship was defined as a part of human nature. God told Adam and Eve ‘it is not good for man to be alone’. So where does that leave us singlites? We have to set the primal needs aside and most of the time pretend like they don’t really matter, like we are strong enough, independent enough to not need them. Sometimes we even fool ourselves into believing we are better because of our defiance of human nature but this is mostly lip service for an ache that is always there. It may cause us to feel defensive because like any wounded creature we bark back at those encircling us. Fortunately most of us have to function so we bottle up that ache and only bring it out from time to time when we feel pricked or particularly bruised. You try to remain hopeful but then you’ll have a moment where you are driving and you realize ‘I haven’t been on a date in a year’. How did this happen? It’s hard to feel hopeful in those moments. 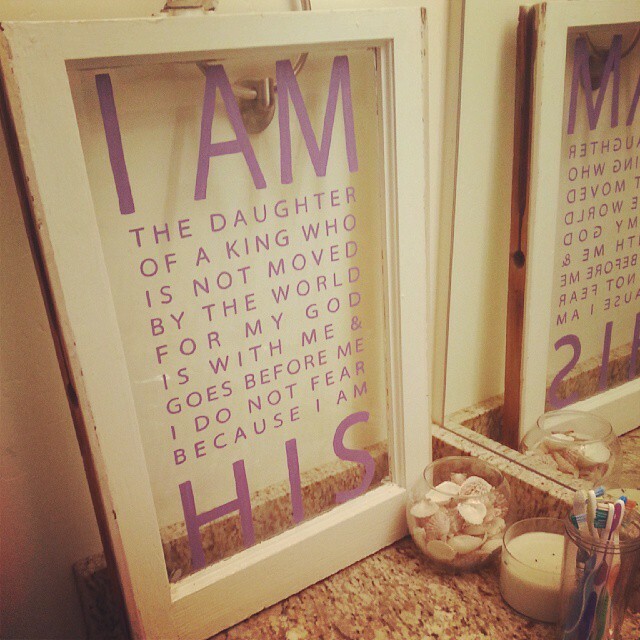 That’s where this blog comes into play. The fact is I can only get so far by myself. Think about it- in the rush for self improvement I will only improve those things that are the most natural and pleasant for me to address. There is no companion or helpmeet to give me a dope slap and say ‘shape up’. And friends are amazing but typically not present enough on a daily or even weekly basis to provide the type of feedback a girl needs for true change and growth. They are the happiness in life but as far as life coaches they can fall short. Even parents as great as they are can find it hard to relate to the worries and fears of a single, solitary life. So, you put on your happy face and you share your feelings in the one way you have. Sometimes I feel like this blog is my spouse and that I’m wondering what he would say and what suggestions he would offer. I wonder what movies he will like and if he is a reader or thinker like me. Does he like sports? Is he good with kids or a bit of a mess like me? For a second you can suspend belief and talk to him through the great mass of internet blur. I’ve always said that the greatest compliment I could receive is if someone read my blog and then wanted to go on a date with me. It would be like someone seeing my heart and then saying ‘I like that. I’d like to learn more’. At least I know for sure that God does understand. And he has His reasons for any challenge. If there are things I need to improve He will tell me. I do not have to wait until heaven to get the dope slap from deity. Believe me. I’ve felt it and I’ve lived it. That makes all the difference. But…you still miss and wonder and cry a little. And then you talk to Him and write to the world with hope and gratitude. Here’s the deal- Being alive is hard and no matter who tells you to think of butterfly’s and rainbows it is but there are outlets and hopes. He does make a way to not be alone. pps. Hopefully this post isn’t too depressing. I just have to share my feelings in the outlets I have. Thank you!